“Midwifery and Homeopathy” was the subject of a weekend workshop I attended last year at a conference sponsored by the National Center for Homeopathy. 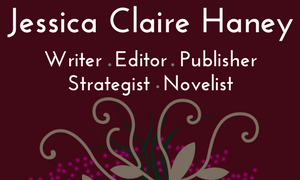 The information I gleaned from presenter MJ Hanafin, and later from an interview with Miranda Castro, author of Homeopathy for Pregnancy, Birth and Your Baby’s First Years, put me on the track to have a healthy and successful homebirth, a vaginal birth after cesarean (VBAC, or HBAC for homebirth after cesarean). 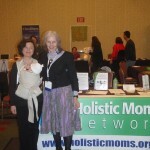 I’ll be disappointed to miss Hanafin and Castro this year when they present again at the “Homeopathy Meets the World” conference in Alexandria, Virginia (where my chapter of Holistic Moms Network will have a table! Stop by!). On Sunday, summit speaker Ina May Gaskin, midwife and author of the classic Spiritual Midwifery and the just-released Birth Matters, is taking her Safe Motherhood Quilt on a march to the Capitol. See the rally’s Facebook event page for more info. ﻿The goal of both events is to raise awareness about the underreporting of maternal mortality in the United States and to call for infrastructure that accurately records this problem nationwide so that it can be studied and the rate of deaths related to pregnancy and childbirth can be lowered. Ina May’s new book, Birth Matters addresses the problem of maternal mortality — and its underreporting — and calls into question our cultural values as reflected in our attitudes toward birth. Gaskin explores how feminism’s efforts to erase differences between men and women have not served women and babies well. We have lost touch with the sacred experience of birth as a unique domain of women. Much of what I have read of the brand-new book so far resonates deeply with the discussions that were had in October 2009 at Perinatal: A Symposium of Birth Practices and Reproductive Rights organized by my friend, birth artist Jessica Clements. 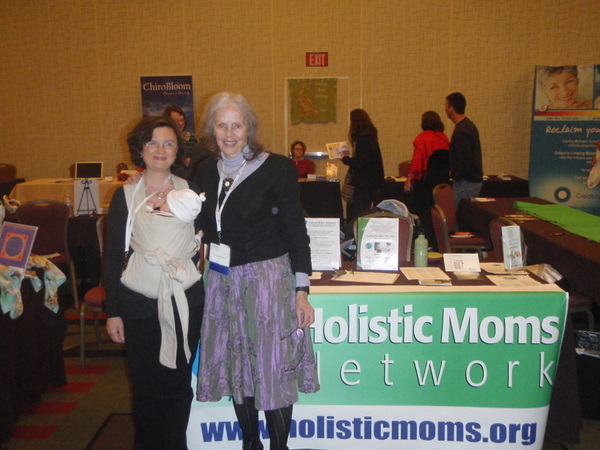 Ina May Gaskin's Safe Motherhood Quilt was right next to our Holistic Moms Network table at the International Chiropractic Pediatric Associations October 2010 Freedom for Family Wellness Summit. Here I am with her and my then-two-month-old baby girl. When I interviewed Ina May on the phone yesterday, I asked her about her target audience for this new book. She said she hopes a lot of men read Birth Matters to better understand the culture of birth and the process of birth in general, and the “sphincter law” in particular. “I can be funny,” she assured, in the way she explains how the body and mind interact in birth, to close in response to stress and to open in response to comfort and support. “My message has always been that a healthy woman’s body is capable of birth,” she said when I asked what she would want a newly pregnant woman unfamiliar with her other work to know. Amid so much scary information about maternal mortality (as noted below), we don’t want to contribute to a culture of fear, do we? “We are like other mammals,” she explained: “We need competent caregivers. We need love, comfort, and understanding, not harassment.” Although hospital interventions are put forth under the auspices of helping a woman rather than harassing her, they can still stop or slow the progress of labor even in the best of circumstances (and cause complications or lead to cesareans or even death in harsher circumstances). Ina May wants women to understand these needs and to believe that their bodies are not inferior to other mammals. Human birthing bodies just don’t function naturally in unnatural (which can feel like hostile) circumstances. We also discussed the issues that will be front and center at this weekend’s summit and that motivated her to start the Safe Motherhood Quilt project. The information below can also be found in my Washington Times Communities column. 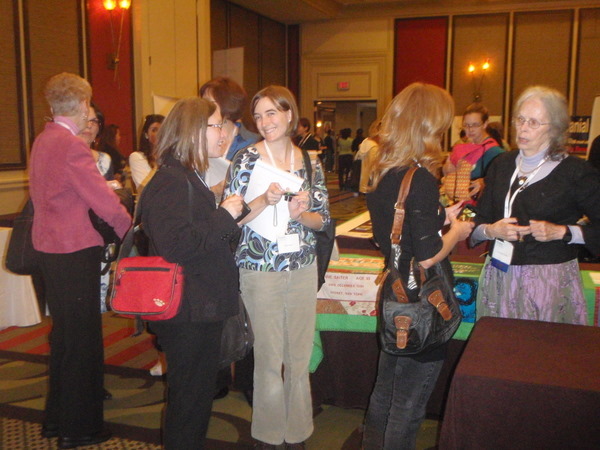 Ina May Gaskin, far right, with the Safe Motherhood Quilt at the International Chiropractic Pediatric Association’s October 2010 Freedom for Family Wellness Summit. In 1998, the Centers for Disease Control released a report showing that no improvement in maternal mortality had been made since 1982. Additionally, the report showed that black women face four times the risk white women face of dying for causes related to pregnancy or childbirth. Gaskin explained in an interview that infrastructure changes are necessary to obtain accurate data that will allow the problem to be studied. In the U.S., there is no standard death certificate whose use is required or whose list of questions includes recording whether a woman was pregnant within a year of her death. Contrast this to the United Kingdom where maternal deaths must be reported within 24 hours and a team collects data that cannot be used in any malpractice suits. Rates are studied over three years when analysis is made, along with recommendations and lessons learned. In the U.S., Gaskin noted, “we’re taught to think it’s terrible to have government involved in health care.” But, she asked, “How else are you going to get correct data?” If hospitals – corporations – have their bottom line to protect, we are naïve to think that accurate voluntary reporting is going to happen. It’s easy for American women to assume that no pregnant women die in hospitals because hospitals can – and feel they need to – put out the impression that “nobody dies here.” Gaskin cited the example of a pregnant woman who had an aneurysm and died – through no one’s fault – before reaching the hospital. The hospital, scared of having this maternal death on its “report card,” asked if they had to actually report the death. If the U.S. had a standard maternal death reporting system in place, there would be no question about how, much less whether, to report this death. Her case would be included and studied to give a more accurate picture of maternal death and its causes. Saturday’s summit will bring together practitioners, researchers and advocacy groups to discuss the problem. On the agenda will be Gaskin’s research, Amnesty International’s Deadly Delivery report, and data reflecting racial disparities in birth. 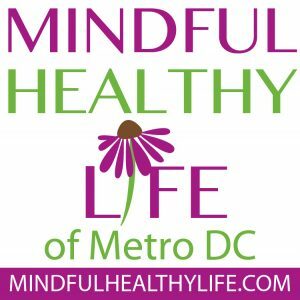 On Sunday, Gaskin will lead a rally showcasing the Safe Motherhood Quilt 2-4 p.m. at the fountain in Upper Senate Park. I am trying to find out who to contact in regards to the Birth Activitst gathering that is planning to be held at The Farm Conference Center the weekend of 22-23 June.